Tom Carlin, of Birkin Direct, demonstrates the power and handling of the Birkin automobile in Gypsum on Tuesday. The vehicle is equipped with a Ford Duo Tec engine generating 250 horsepower. Address: 210 Spring Creek Road Unit B3, Gypsum. GYPSUM — You know how Halle Berry looked when she played Catwoman? Birkin sports cars sound like Halle Berry looks. They also look like Halle Berry looks. You can have your own — Birkin sports car, probably not Halle Berry. 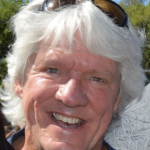 Tom Carlin operates Birkin Direct USA in Gypsum and imports the cars from overseas. He smiles when he says this. He smiles bigger when he drives one. He drives them pretty much all the time. Carlin is a happy guy. “I’ve always loved sports cars,” Carlin said. It goes back to a Lotus Europa when he was a teenager, his first car, followed by a string of German and Italian sports cars. He had always been fond of the Lotus 7, but they’re hard to find and harder to import. That, and Lotus hasn’t built them since the early 1970s. One beautiful Colorado afternoon, Carlin was racing autocross — those pylon courses on parking lots and airfields. 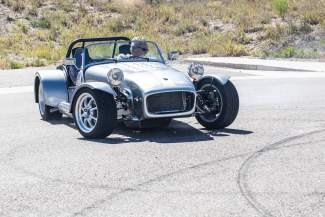 He spotted a Caterham car (a Lotus 7 lookalike) and committed about six of the Seven Deadly Sins. They are, however, prohibitively expensive. Not so long after, he spotted a Birkin and that was it. “I thought, ‘I could do that!’” Carlin said. And he did. He became a dealer, and now he’s an importer. Birkin has street versions and track versions of each its models, so you can go as fast as you want. “Speed is a matter preference,” Carlin said. There’s even an extra space model with a couple extra inches of leg room because it’s a few inches longer. The extra space model does not do donuts as well as the smaller models, but it’s worth it. I’m 6 feet, 3 inches and it fit like it was custom made. Yeah, it looks amazing, but better than that the Birkin is quicker than a tailback and handles like it’s on rails. No roll, no drift in corners no matter how hard you throw it into one. It has a top speed of around 140, which feels faster in the open air cockpit that’s inches off the ground. It gets there faster than anything this side of a theoretical physics experiment. You can buy your Birkin as a complete turn-key model, as a rolling chassis sans engine or gear box or in kit form. You could build it yourself, but you’d be better to leave it to the professionals like Carlin, who has a showroom and workshop. The Birkin is built solid as the Rock of Gibraltar, with none of what we’ll call the traditional eccentricities of British electrics. It’s powered by a Ford Duratec engine with all sorts of wonderfulness performed on it. It generates up to 250 horsepower, and enough torque to straighten the Leaning Tower of Pisa — much more than a Corvette. That’s because it weighs only 1,200 pounds. That weight is balanced — 49 percent in the front, 51 percent in the back. It’s a mid engine. Purchasing one will set you back around $50,000. “Your own personality goes into your car. You can do what they want. Our goal is to give them the best foundation possible on which they can build their dream car,” Carlin said. John Birkin Watson started the company in 1983. Watson is a motorhead, and proudly so. He’s a distant relative of Sir Henry Birkin, one of the original 1920s Bentley Boys who used to rip up the tracks in England in supercharged Bentleys. Watson created his own version of the Lotus 7, similar in its streamlined good looks, but with several design refinements. “The biggest pleasure for me is enhancing the thing. In those days, the Lotus and Caterham were very crude,” Watson said. Technology has made everything better and easier, “eliminating the bad and enhancing the good,” Watson calls it. Watson is as interesting as his cars. Born in Wales, his parents emigrated to Rhodesia (now Zimbabwe). He finished college, served three years in the Rhodesian Special Forces and studied engineering at the Technicon in Salisbury. While in the military he found a dilapidated Lotus 7 that needed total restoration. The project consumed what little time he had away from the army. In 1978, the political situation in Rhodesia/Zimbabwe grew unstable, and Watson knew it was time to leave. “The undesirability of my military background and severe leg wounds received during call up operations, prompted a sudden requirement to move to safer pastures,” Watson said in colossal understatement. His civilian employer transferred him to South Africa, but he had to leave behind his restored Lotus S7. Once safe and settled, he approached Caterham with a proposal to build their car in his new home. “My suggestion and I were very politely dispatched to the archives of Caterham time wasters,” he said. “So with much encouragement from family and friends, I set about building my own,” Watson said. He was going to build just one for himself, but those friends and family wanted their own. One became two, then three and four as word spread.